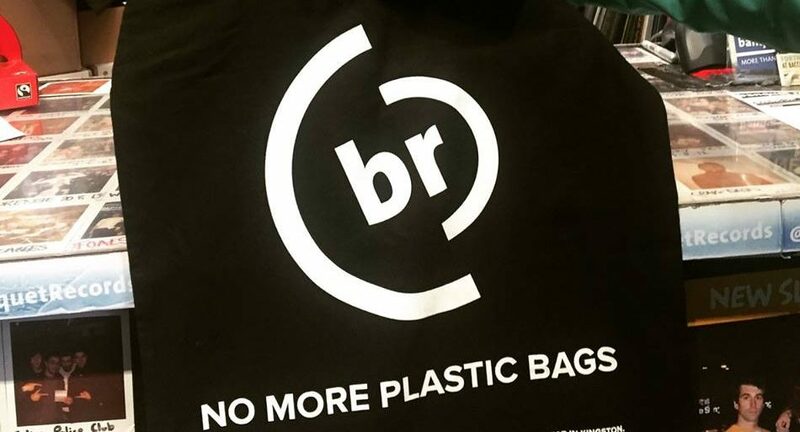 BANQUET Records has introduced reusable cotton tote bags with their “No More Plastic Bags” campaign. The independent record shop announced the eco-friendly shift in a video posted on their Facebook and Twitter. “We’ve all seen Blue Planet 2, read a piece on the Guardian, seen a tweet from Surfers Against Sewage, or seen something on Facebook,” said Jon Tolley, the owner of Banquet. The reusable bags are given out free with any purchase or can be bought for £1 each. They will cost the business eight times more than standard plastic bags, but the store is determined to do its bit for the environment and forfeit the money. “Put your money where your heart is, and it’s a more rewarding purchase,” said Tolley. The campaign will also see Banquet Records change their packaging for mail orders to reduce unnecessary plastic waste. The UK has pledged to eradicate all avoidable plastic waste in the UK by the year 2042. This is part of the Government’s plan to improve the natural environment over the next 25 years. They have already banned microplastics which are commonly found in beauty products, with thanks in part to David Attenborough’s award-winning Blue Planet 2 series which aired last year. The programme showed the impact of the 12 million tonnes of plastic which ends up in our oceans each year and featured a whale who lost her calf when her milk was poisoned by plastic waste.